after attending Facets 2016 in Sri Lanka and spending some time in the Austrian Alps I am back preparing for our fall activities. I am looking forward to the upcoming workshop and welcome our foreign participants. I want to thank Gamini Zoysa who hosted an Advanced Spectrometry Workshop in Colombo after the gem show; we had attendees from several countries who could familiarize themselves first hand with the operation of the GL Gem Spectrometer and the GL Gem Raman PL535. 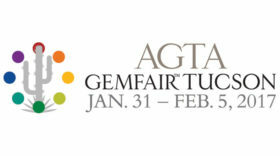 Also start planning for the AGTA GemFair in Tucson from Jan 31 – Feb 5. I visited several several small scale sapphire mines nearby with Kasun (Hotel Gem Land). More images and report at the Facebook page of the Canadian Institute of Gemmology. I just received this exceptional new book (almost coffee table size). 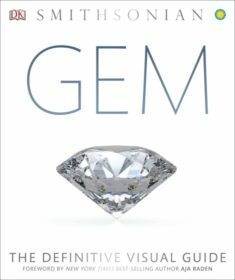 Each of the 440 pages is full of images and in-depth descriptions of gems and jewellery; I liked in particular the section on emerald and opal. It can be purchased for US$ 35 or less at Amazon or Target. We have replaced the motherboard in the GL Gem Spectrometer with a modern modular design and faster microprocessor. This will allow us to add new features and components in the future such as Bluetooth, WiFi communication, database search, etc. With the new GLGemSpec software (version 3.2) spectra can be saved and matched with the integrated spectral library of over 180 gem references (experimental). The 2016/2017 model of the GL Gem Spectrometer is now available. Our Raman spectrometer comes with a new motherboard, “Point & Shoot” software and integrated spectral library; fast averaging allows real-time observation of the Raman spectrum. All units come now with a mechanical laser security lock. Databases have been updated and are available for download in the GLGemRaman Support section With the new GLGemRaman software (version 3.2) spectra can be saved and matched with the integrated spectral library of over 300 gem references or imported into a separate searchable database program with over 3,500 edited references; this database is linked to the large on-line mineralogical RRUFF database for Raman spectra. One GL GemRaman PL532 TEC Demo unit in excellent condition. Various gem testing tools; download current listing (PDF). Instrument sales: used equipment listing (PDF), special gem study collections, on-site gemmological services (small nominal fee), etc.